Lewis Grossman, Professor of Law at the Washington College of Law and Affiliate Professor of History at American University, leads a discussion of The Legend of Sleepy Hollow by Washington Irving. The Books That Shaped America events are conversations for the American University and metro-D.C. communities about books that have helped shape American society. Each discussion starts with a focal text, but the conversations stretch far beyond the pages of the books themselves. Each discussion is led by a faculty or staff member from AU. Please join us for a community dialogue on America's favorite ghost story – Washington Irving's The Legend of Sleepy Hollow. This seasonal favorite was also one of the first books by a U.S. author to gain international popularity. The discussion, led by Professor Lewis Grossman of the Washington College of Law, will cover topics such as the story's message about capitalism and why there is so much description of food. All members of the American University and greater Washington, D.C. communities are invited. Attendees are encouraged—but not required—to have read the book. Light refreshments will be served. Admission is free and RSVP is not required. Questions about the event or requests for more information should be addressed to LibEvents@american.edu. 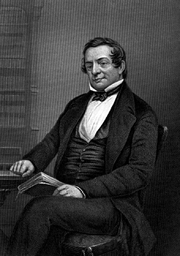 Washington Irving is currently considered a "single author." If one or more works are by a distinct, homonymous authors, go ahead and split the author. Washington Irving is composed of 35 names. You can examine and separate out names.